Mini Floor Stands #3DThursday #3DPrinting « Adafruit Industries – Makers, hackers, artists, designers and engineers! 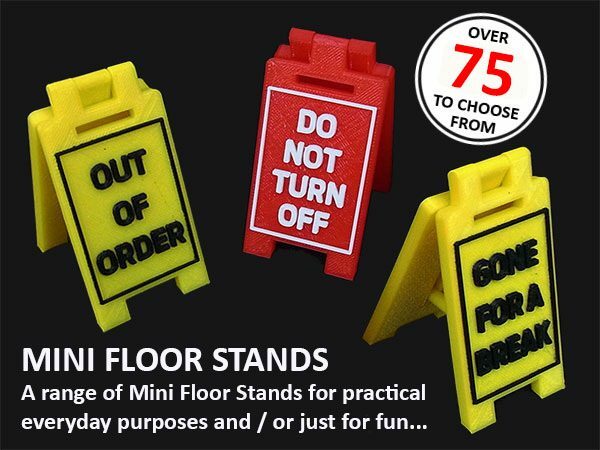 Mini Floor Stands are just that… a fairly large range of small stand with fun / warning / safety messages. They are a print-in-place design with two sign faces plus an arm to lock the stand in place. Easy prints for practical and fun applications… just click on the Files tab to view the range. A blank option is also available that can be edited (add text) or used with an adhesive sticker, piece of card or similar.